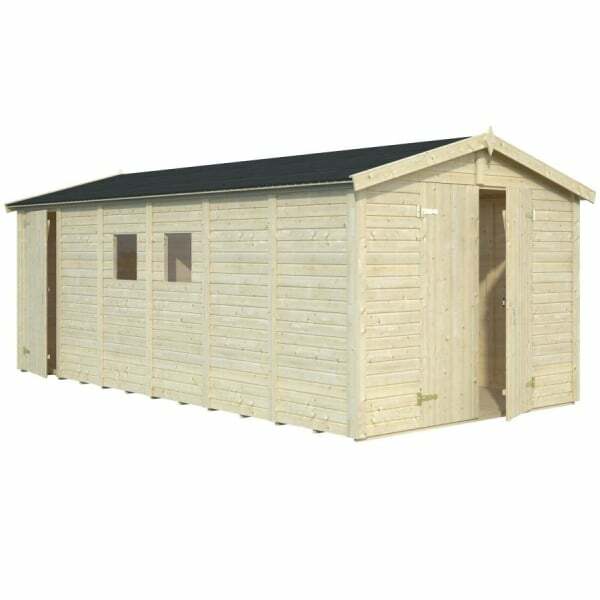 Palmako Dan 14.2m²: The Palmako Dan is a sectional building that is built much like a garden shed but with much thicker wall cladding than most sheds. Most sheds would have an 8mm - 12mm cladding on a frame whilst this building utilises 16mm Ship-lap Cladding. The Palmako Dan Shed is an ideal work shop / storage building or for any other combination of uses. The building features two panels with windows - these can be positioned in place of other similar sized panels such that it is possible to have one window into each room if required. As the Palmako Dan is a sectional building - assembly is very straightforward requiring only basic DIY skills and tools.